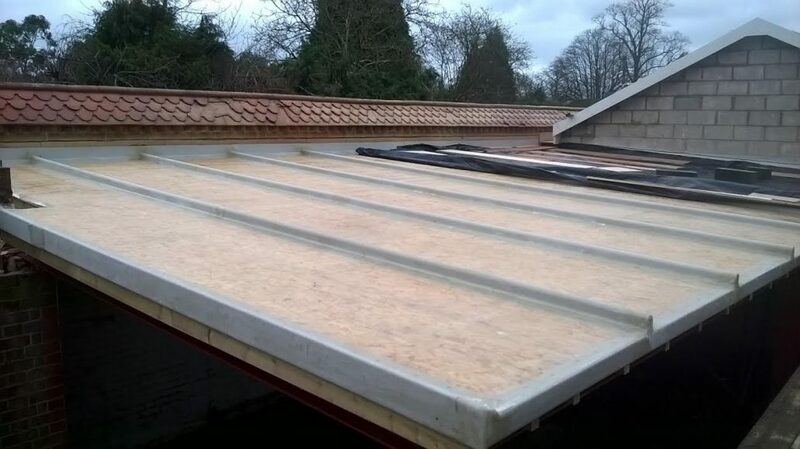 In this project we installed a new GRP Roof at Effingham Golf Club in Leatherhead. 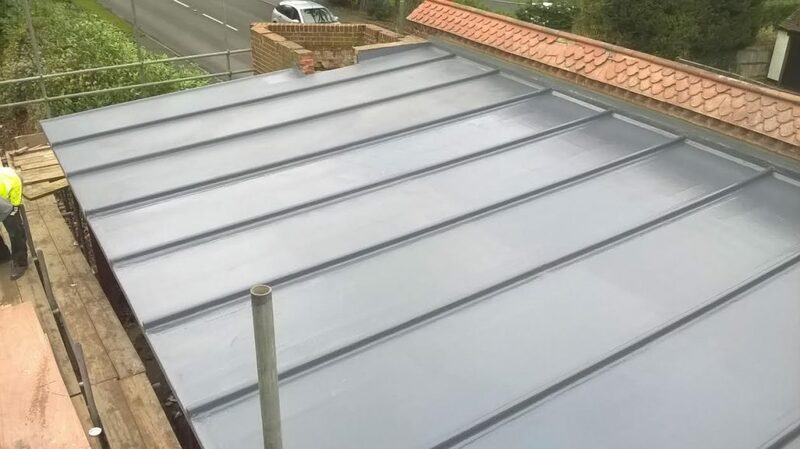 This is a project that we finished at the end of 2015. 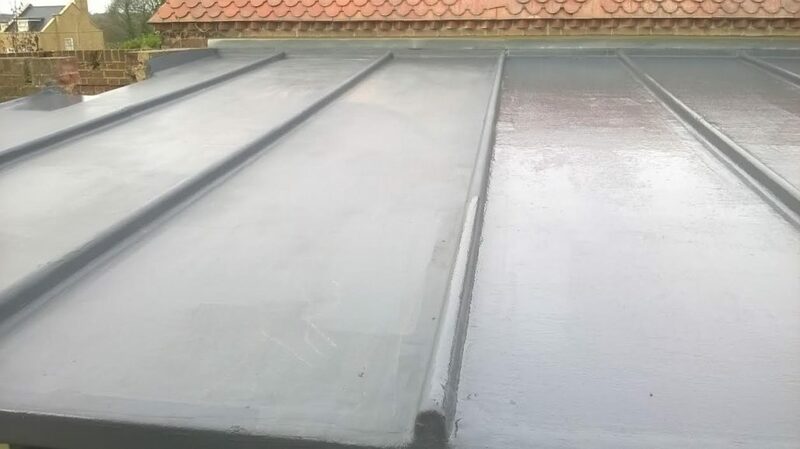 The client requested a new GRP (Glassfibre Reinforced Plastic or Fibreglass) roof covering which they wanted to look like a lead roof. 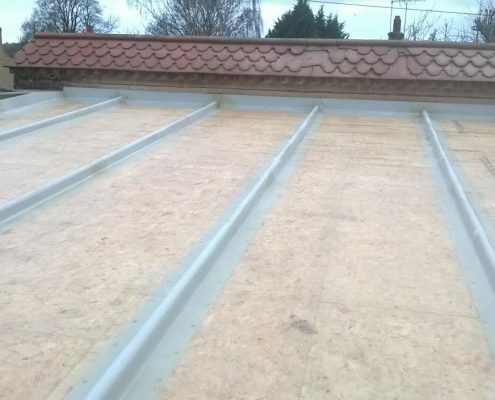 We achieved this by installing imitation lead roll bars across the roof span. 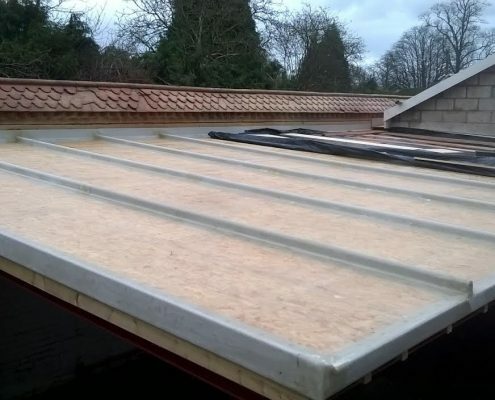 These also act as expansion joints to allow the timber structure to expand with the heat and contract with cold conditions. 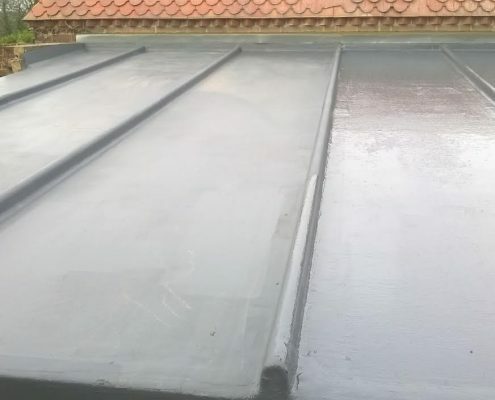 GRP waterproofing also acts as an ideal deterrent against theft. 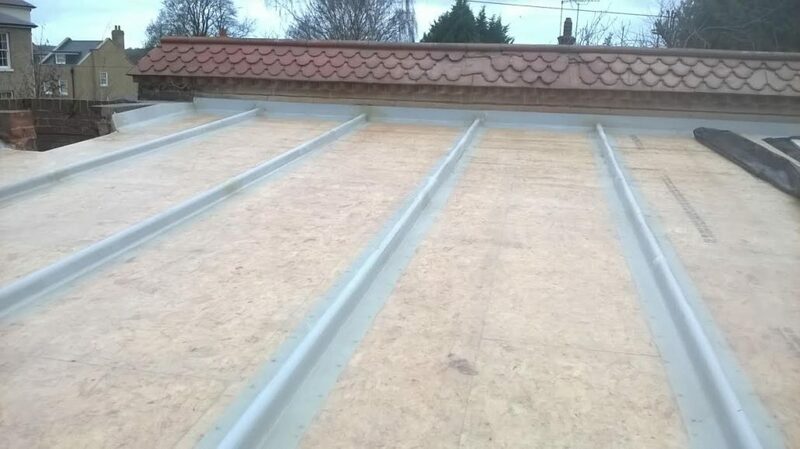 Unlike lead, it has no scrap value and comes with a 25-years guarantee. 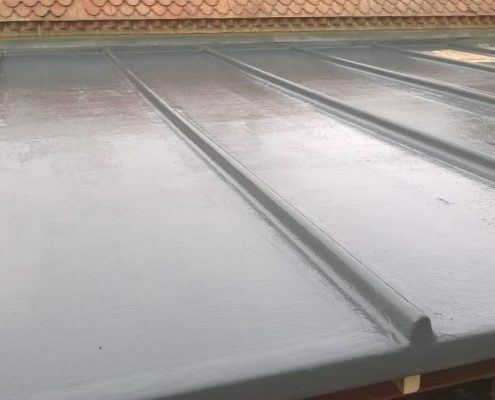 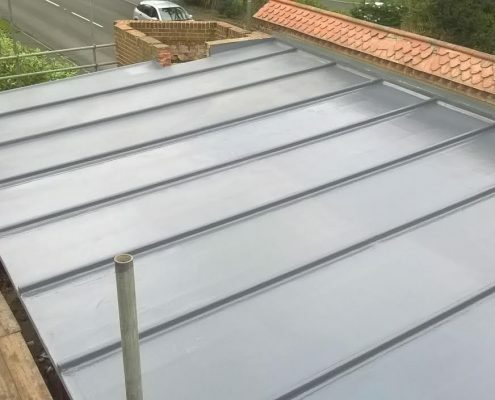 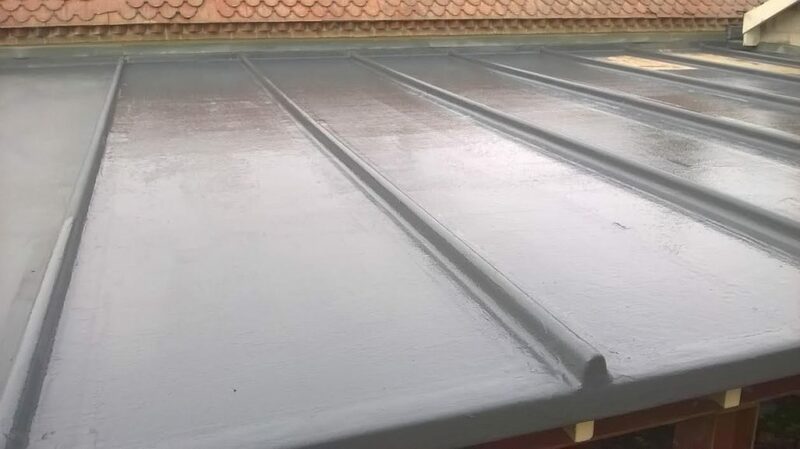 This makes it an ideal alternative to traditional lead roofing.